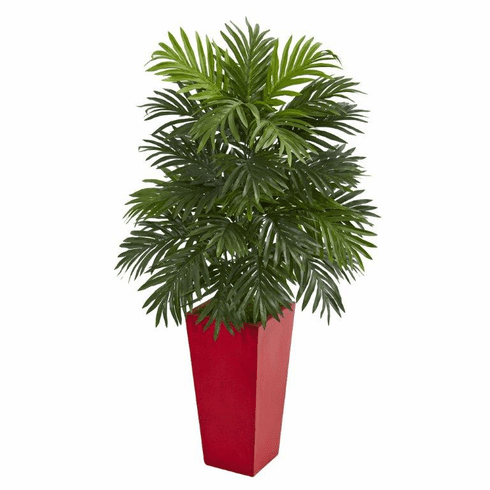 The feather-like green fronds of this areca palm artificial plant fall on top of one another in layers, giving the overall piece a lush look. It's placed in a red tower planter with natural river rocks that complement without distracting away from the greenery. To bring some warmth into your bedroom, you can place it in any bland corner or next to your vanity for a natural finish. Size: Height: 40 In., Width: 20 In., Depth: 20 In. Pot Size: H: 17.25 In. W: 7.25 In. D: 7.25 In.